For over 30 years, devoted fans of Rick Springfield have shouted the praises of the Grammy-winning performer and 80s rock heartthrob, continuing to support the artist after much of the population had shifted its gaze. As a result of unfailing fan support, Springfield presently plays anywhere from 80 to 100 audience-packed shows a year that spotlight his enviable 17 hits in the Top 40. Filmmakers Sylvia Caminer and Melanie Lentz-Janney sought to uncover the mystery behind this mutual devotion in their documentary “An Affair of the Heart”, which includes interviews with some of Rick’s most ardent supporters and the star’s own take on his longtime connection with them. We asked Melanie and Sylvia some questions by email about the making of this documentary, and here’s what they had to say. When was the light bulb moment for the inception of this documentary? Sylvia Caminer, director: The light bulb moment happened one day when I was visiting Mel while she was on vacation at the beach. We actually got together to discuss another documentary I filmed in Tanzania and was in post production on, Mel was going to help me with marketing. We started talking about working together and finding the right project. I believe I suggested Rick and his fans, and Mel quickly agreed and said she had been wanting to do something about him for a while. We discussed format, at this point I was really focused on feature docs and really felt this story warranted it. Had Mel not gotten me free tickets to see Rick at Universal several years earlier, this would never have happened! Melanie Lentz-Janney, producer: I have always wanted the world to see Rick the way I’ve been him. I just wasn’t aware until he returned to the scene in the late 90s that there were still people exactly like me who felt such a connection with him and his music. 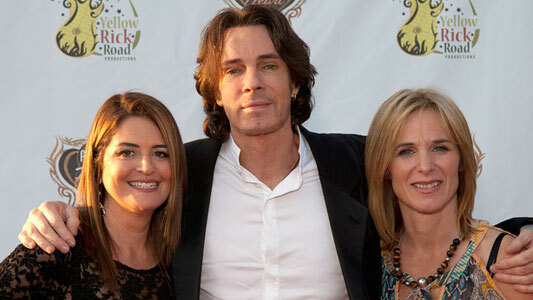 The first Rick Springfield Cruise in 2008 was when the light bulb went on for me that there was a really unique, wonderful story to be told about Rick AND his fans. I ended up writing a story for the New Jersey Star Ledger on a fluke when I went to see Rick in concert in Morristown. I met up with a woman I met on the first cruise and thought traveling to see Rick in another state (as a mom/wife/business woman) was something the newspaper may find interesting. I met this woman and her friends and really connected with them. In fact, two of the them are featured in our film along with their husbands. The article received a lot of attention and I knew something should be done on a grander scale. Since Sylvia was working on her Tanzania doc, she felt we would have more creative control doing a feature doc (vs a TV show, which is what I thought would be interesting). I followed her lead. I was just thrilled to be collaborating with her on a subject that I held so near and dear to my heart. What was the most surprising thing that happened during the making of this documentary? Sylvia: I became a big fan. I liked Rick as a kid but I was into Bowie and more avant-garde music, so this is a bit of a surprise. I think Rick’s humanity and also his charm has as much to do with it as his music. Melanie: I didn’t do this for Rick’s validation. Of course, initially, I was thrilled that I was even on the radar of my teen crush (even though I was never sure he even knew my name the whole time we were shooting. LOL!). I was so committed and passionate about this project, I was eager to show him what we were doing, but knew the proof was in the pudding and knew patience was key. We needed to deliver a stellar film! I am so incredibly proud of the film we made and the talented crew that helped bring it to life. Getting Rick’s stamp of approval (which he has given us) was the icing on the cake. The cake was believing the whole dream would really happen. Having a blind a faith and finding others who believed in it was key. I remain a die hard Rick Springfield to this day. Rick wrote the soundtrack of my life and I will always be a fan. I feel very blessed and grateful that I’ve had this opportunity to pursue this lifelong dream. I will probably need the rest of my life to process the last 3 years. How long was the process, and how was Rick about this when you first approached him? Sylvia: We shot over a 9 month period and edited over a year, partly because we were still raising money to keep the project going. Rick was pretty great from the start. I think he just wanted to get to know us a little as people and make sure our goal wasn’t to make something exploitative. he is pretty protective of the people in his life including his fans. Rick was very accommodating from the beginning and trusted us to do what we needed to do to make the film we set out to make. I think because he’s an artist, he allowed us to create the vision we saw as filmmakers. It has been a round the clock commitment for over 3 years, although the physical shooting phase was done within a 9 month period. Because I am/was a fan, I had my walls up throughout the process of making the film. I didn’t want my fandom to take away from my professionalism. I take the quality of my work and my reputation very seriously and even Rick Springfield couldn’t throw me off course. I also knew Sylvia was the perfect person to partner with … and she knew David Dean (our editor) and Doug Bachman (our DP) would help bring it to life. I will forever be grateful to everyone involved in this project! What was your favorite moment onscreen in “An Affair of the Heart”? There are a few. My favorite moments looking back including the experience of filming were at the Sweden Rock Festival, that entire trip was incredible and we got some really surprising footage. The most synchronistic moment we captured for me was at the piano bar on the cruise. This was the last bit of filming other than one more solo interview with Rick TBD. So this was the very last opportunity to capture anything about Rick’s relationship with his wife. We knew from the beginning that Barbara was off limits but I was really concerned that we didn’t have any way to explain their enduring relationship … when they both walked into the piano bar together and then they had this great moment when he sang “An Ordinary Girl” which he wrote for Barbara I was so happy. Of course from the moment they came in I had one of my camera’s focused on Barbara ready and waiting. It was magic when that moment came and in the film it allows us to cut away and talk about their troubled yet loving marriage. And then we have this beautiful/heartfelt moment in the song where Barbara actually sings along such telling lyrics “nothing that comes easy ever really matters” and then she wipes away a tear and they have this celebratory moment. beautiful moment, I knew in that instant that was in the final cut! Melanie: I, too, love the Sweden Rock Festival. Our whole whirlwind trip to Europe was amazing. I also really love the World’s Fastest Talker, Fran Capo, who did a recap of the Balloon Fest! The Balloon Fest was great! The tornado warnings were very reminiscent of the whole Yellow Rick Road/Wizard of Oz theme. Of course, the cruise and book tour were fun … and getting to know each of the featured fans, their stories and families … but, my personal OMG moment that rises above everything was being in his home interviewing him (actually it was more of a conversation than an interview). It was beyond surreal for me!! Especially, when in between takes, he would go to his computer in his kitchen and I’d have to call out to him when we were ready to film him again. I just kept thinking “Seriously?! ?” LOL!! OK, let’s face it, I LOVE the whole film, the whole journey, the whole experience and all people involved in it. Just like I can’t pick my favorite Rick song, I really can’t pick my favorite moment … they were all great … including the hours of footage we needed to edit out to keep the film at 93 minutes. Look for some of those in the DVD extras when we release the film around Valentine’s Day! What was the biggest challenge in taking on this project? Sylvia: The biggest challenge was making the film larger than just Rick and his fans. I knew we had to capture a universal story and tap into shared human emotions. I didn’t want to make a film just for Rick Springfield fans, heck I wasn’t even one of them. I also didn’t want this to feel like a typical music bio pic instead I wanted to explore this really unique bond and relationship that Rick has with his fans. Finding the right fans to focus on was the first challenge and we had a huge casting call and received 800-1,000 submissions. We had so much rich material to choose from that everything really fell into place once we selected our “featured fans”. I am happy to say that we didn’t shoot any “featured fans” that got cut out of the movie. Melanie: Raising the funds to make it … and we are still needing to raise more money to take it through the distribution phase. I don’t think people understand what an enormous undertaking making a film like this requires. Sylvia and I viewed it as a passion project as well as an investment in our careers, but we still needed to pay our crew and all other expenses (even with Priceline/HotWire, sharing a room and eating potato chips for dinner, travel is expensive). And don’t get me started on music/video licensing fees (Rick waived his fees and even spent a great deal of time mastering the music in our film), but there is so much music in the film and people/companies involved way beyond Rick. It’s show business. It’s a lot of work and requires a lot energy and marketing/business savvy. I want to add that we are so incredibly grateful for the Rick fans who wanted to be a part of this and volunteered an ungodly amount of their time and talents to help keep things in motion … and they are still helping out. We are also so appreciative to our group of private investors and people who made any sort of contribution. Everyone has been such a joy to get to know. This whole project has really attracted amazing people and we couldn’t be more thrilled with the attention the film is getting. Everyone should feel very proud of themselves for being on the Yellow Rick Road with us! 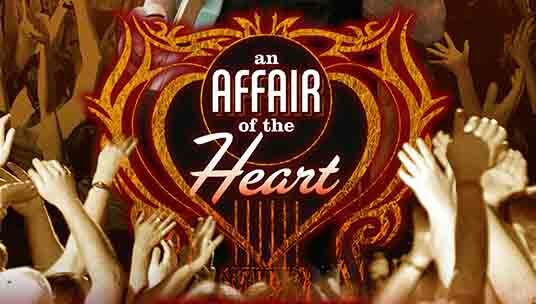 Tickets are on sale for “An Affair of the Heart” in New York at the IFC Center. Click here to buy tickets. Rick also has a new album out on October 9th called “Songs For The End Of The World”, available everywhere.